« LAUNCH! Boutique WINTER STREET White Rock Oceanside Condos for Sale by Listraor Homes (TOP Builder!) > Exclusive White Rock Apartments between 693 to 1,126 square feet! 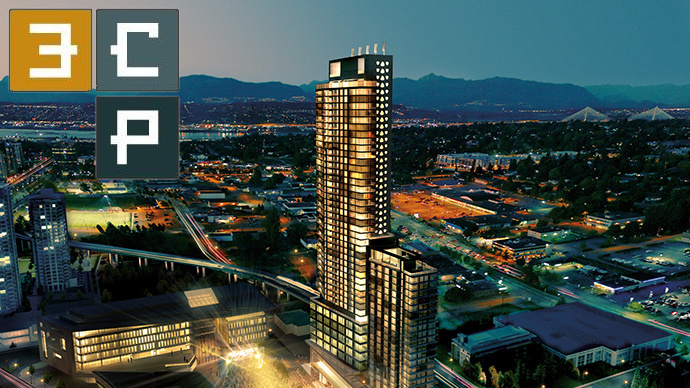 3 CIVIC PLAZA Surrey Condos > Presentation Centre, Floor Plans & Videos! The premium condos at 3 Civic Plaza Surrey City Centre offer spectacular and uninterrupted views of the Greater Vancouver area in all four directions. 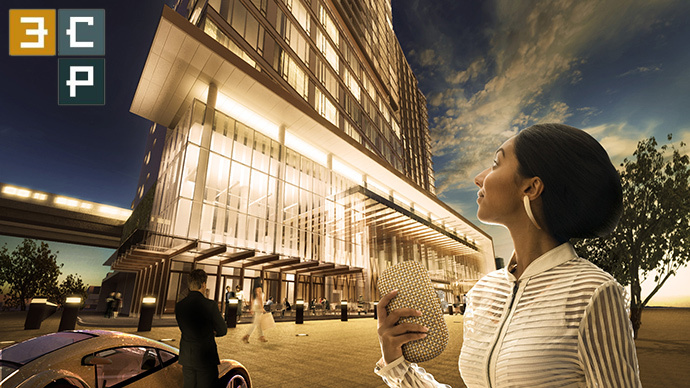 The elevated standard of living that comes with owning a premium condo in Surrey City Centre’s 3 Civic Plaza Hotel & Residences comes from the finest selection of materials, finishes and features in every residence coupled with ultra modern, efficient and functional floor plans. In total, the premium condos in Surrey City Centre offered at 3 Civic Plaza will only include 353 opportunities to own a home. 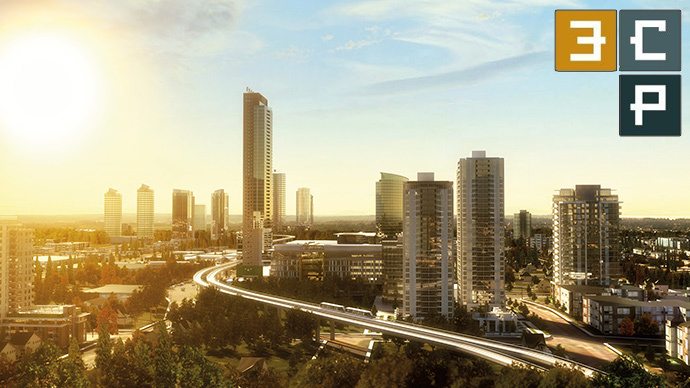 There will be 36 stories of residential premium condos and all will be intelligently designed from ground up. The 3 Civic Plaza Surrey premium condos will range in size between 497 square feet (one bedroom homes) all the way to 1243 square footage (with two bedroom and den layouts). There are 20 distinct 3 Civic Plaza floor plans featured at these new Surrey premium condos in City Centre. 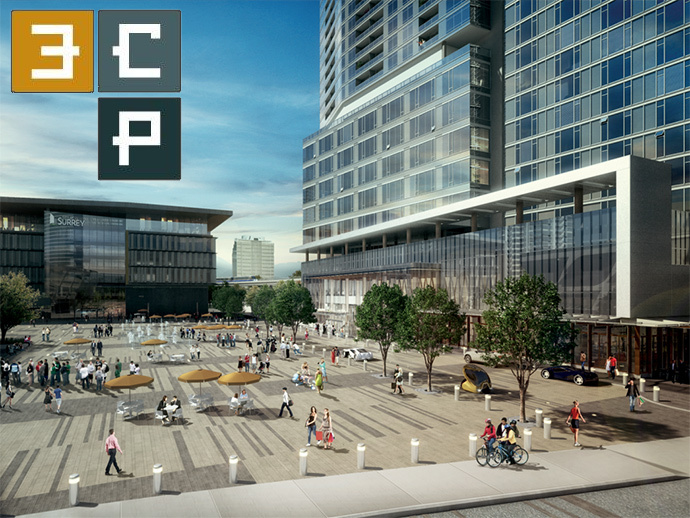 Visit http://www.3civicplaza.ca/floor-plans to download all the 3 Civic Plaza floor plans now released! Here are some of our favourites (please note they are subject to change at any time). Inside the 3CP Surrey condos are the finest finishes you will find in the market. The kitchens will have mosaic tiled backsplashes, wood cabinets and premium counters for the modern and sleek look and functionality. 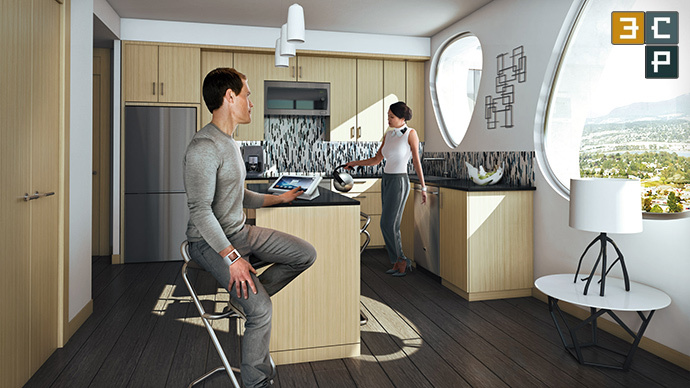 In addition, the new Surrey City Centre 3CP Condos will introduce an elegant Euro appliance package that is both energy efficient as it is high quality. Most of the floor plans afford roomy kitchen islands and large storage/pantries for the inner chef in you! Your personal spa (bathroom) is elegant and functional as well. The new Surrey 3CP condos will have contemporary fixtures, sophisticated materials, deep soaker tub, accent task lights and radiant in floor heating. The high-end Surrey 3CP condos will present tranquil bathroom spaces where you can simply relax and rejuvenate at any time of day or night. The living spaces at the 3CP Surrey City Centre condo tower will feature tall ceilings and oversized windows that will maximize not only natural light coming into your home, but also unparalleled views out towards every direction. Home entertainment pre-wiring is also built into your high tech homes. The bedrooms at the 3 Civic Plaza Surrey 3CP condos will have floor to ceiling wall closets, large windows and much more. 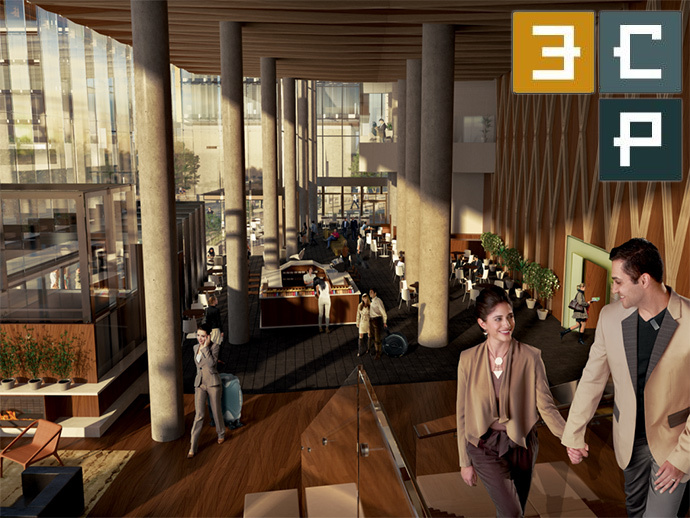 As well, the new Surrey Civic Hotel at 3 Civic Plaza will be home to 144 suites in a world class hotel development. Some of the hotel features include a great location along the SkyTrain line, lavish meeting spaces, coworking environments, social spaces and a grand ballroom for large events. The Surrey Central Station is just next to 3 Civic Plaza and the new Surrey Civic Hotel in addition to numerous bus routes. There is also an extensive network of walking and cycling paths that intersect through the Surrey Civic Hotel location, giving you easy and healthy options to get to entertainment, health care, education, recreation and shopping. There are also plans to build a light rail transit (LRT) system that includes 3 lines: City Centre to Guildford, City Centre to Newton and City Centre to Langley. 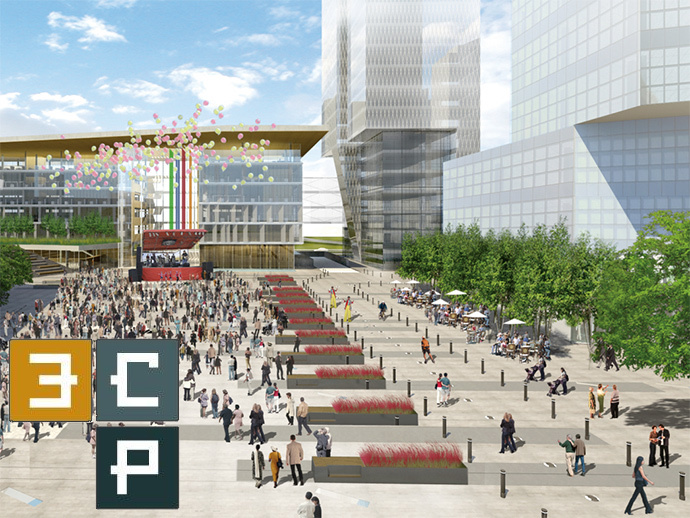 Situated steps from Surrey Central Sky Train Station, adjacent to Surrey’s new City Hall and library 3 Civic Plaza is Metropolitan Vancouver’s next greatest landmark. Act now!